IT exhibition « Tech bytes for tea? CES Asia is owned and produced by the Consumer Technology Association (CTA) and co-produced by Shanghai Intex Exhibition Co., Ltd (Shanghai Intex). 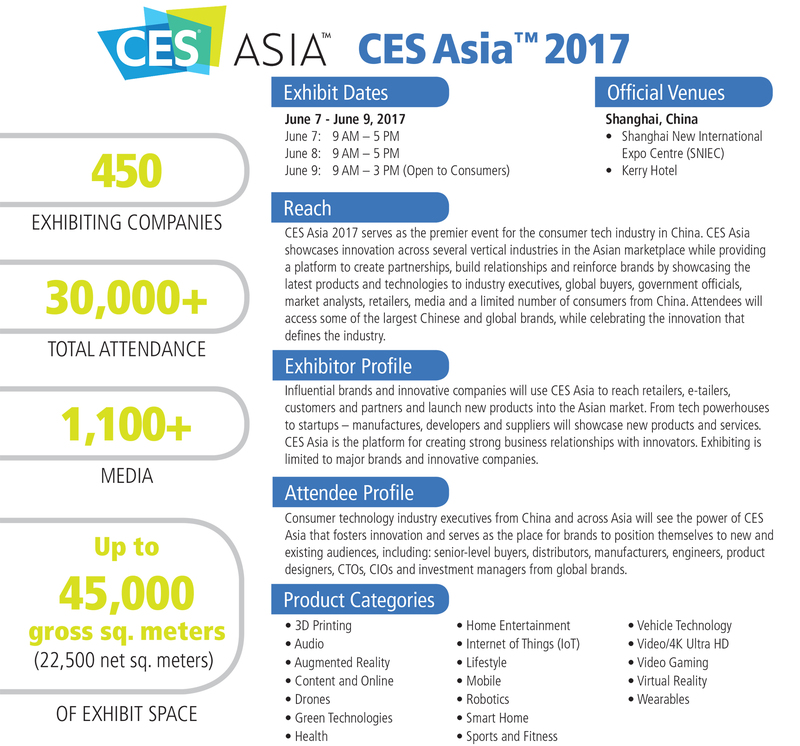 In its third year, CES Asia showcases the breadth and depth of the innovation value-chain in the Asian consumer technology marketplace. The show will be held at the Shanghai New International Expo Centre (SNIEC). Vehicle technology will be spearheaded by three major auto manufacturers –Hyundai, NEVS and Volvo. “Self-driving technologies and connected car capabilities are changing our world – from thousands of lives being saved on the roads each year, increased mobility and reductions in traffic and resulting carbon emissions to ride sharing options and a new world of device to device communication for real-time sharing of information between vehicles, roadside infrastructure and pedestrian devices. Cars have never been smarter, roads have never been safer and the possibilities for this not-so-distant future will be on display at CES Asia 2017,” said Gary Shapiro, president and CEO, CTA. Major vehicle technology companies will be on hand at CES Asia showcasing the full supply chain of vehicle tech, including Baidu, Continental, NavInfo, Pioneer and Volvo. Featured automotive technology will be on display both on the show floor and outdoor exhibit space. According to CTA research, factory-installed technologies, from entertainment systems to driver-assist features, make up an estimated 50 percent of the collective value in new vehicles, up from about 25 percent just 10 years ago. More than 300 companies are already slated to exhibit, including 3M, Audio-Technica, Baidu, Changhong Electric, Continental, Digital China, DJI, Fossil/Misfit, Garmin, Gibson Brands, Goertek, Haier, Huawei, Hyundai, Konka Group, LeEco, Monster, NavInfo, NEVS, Onkyo, OtterBox, Pioneer, PPTV, Scosche, Suning, United States Postal Service, UPS, Valeo, Volvo, Voxx, Wacom and Yuneec. Event forecast: from 24 November, the final of the four large annual IT exhibitions in Singapore will take place for four days (24 – 27 Nov) at the Singapore EXPO, in Halls 5 & 6. SITEX 2016 will open daily from 11 am to 9 pm (Admission FREE). SITEX is organised by the Singapore Infocomm Technology Federation (SITF) and managed by SingEx Exhibitions, and receives more than 300,000 visitors. Established in 1988, SITEX 2016 will see more than 500 brands of infocomm and consumer electronic products spread over more than 200,000 sq ft of exhibition space. SITEX 2016 seems more interesting this year. Apart from the usual vendor booths selling gizmos at discounted prices, there are many booths featuring technology and gaming – eg. smart home technology, even techno dance (DanceTex2016). More than 300 exhibitors from 20 countries, including Southeast Asia will unveil latest innovations to the rapidly growing Asian marketplace. 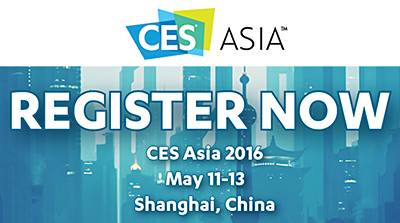 As of today – six weeks before CES Asia™ returns to Shanghai – more than 17,000 high-level industry professionals from more than 70 countries have already registered to attend. Registration numbers are up 40 percent over the same period in 2015, the event’s inaugural year. More than 30,000 attendees are expected to visit CES Asia 2016, which will take up 40,000 square metres of exhibition space at the Shanghai New International Expo Centre (SNIEC). 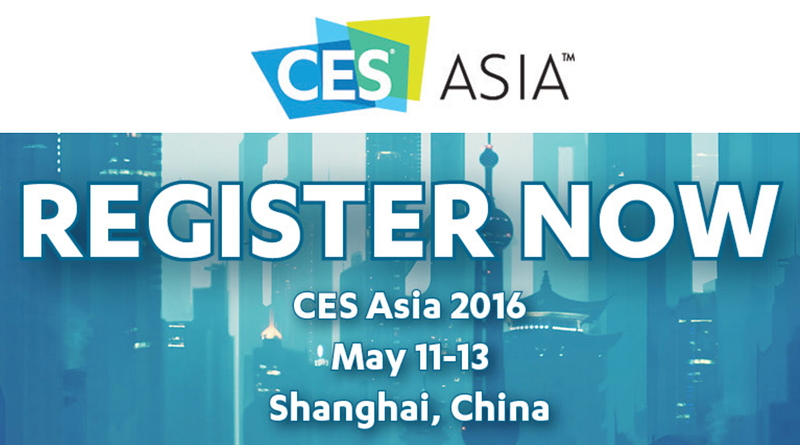 Currently, 250 companies representing 20 countries, have already signed up to exhibit at the second-annual CES Asia™ 2016 as it returns to Shanghai May 11-13 at the Shanghai New International Expo Centre (SNIEC). From today till Sunday, the first of the four large annual IT exhibitions in Singapore this year takes place for four days (10 – 13 Mar) at the SUNTEC Singapore Convention & Exhibition Centre, Level 3 (11am – 9pm) and Levels 4 & 6 (12 – 9pm). Admission FREE. Highlights include extension of trade-in program to video games and TVs under 34-inch, pre-orders for Uncharted 4: A Thief’s End Limited Edition PlayStation 4 console bundle, over $35,000 of prizes to be won for PC gaming fans plus the latest jaw-dropping gadgets including the $6,000-plus Asus GX700 gaming laptop beast, the Sony α6300 mirrorless camera with the world’s fastest autofocus and the Lenovo Vibe X3 smartphone with in-built virtual reality smarts. Gaming extravaganza at GAMEX (L6, Hall 605). Tech Showcase (L4 Hall 405, 406). Brand Time (L4 Stage Area). IT SHOW Babes Selfie Contest (L4, Tech Showcase Area). Avid shoppers checking out the latest IT gadgets at the IT Show 2016. Details about the IT Show 2016 below (from the press release). The third of four large annual IT exhibitions in Singapore is in town. It returns to Suntec Singapore at Levels 3, 4 & 6. COMEX 2015 opens from 12 noon to 9 pm (Admission FREE) until Sunday, 6 September. COMEX 2015: Suntec Singapore Levels 3, 4 & 6, from 12 noon to 9 pm – (Admission FREE. The 25th edition of Singapore’s longest running information technology (IT) and consumer electronics show returns for four days from June 4-7 at the Singapore Expo, Halls 5 and 6, 12-9pm daily (admission FREE). PC Show from June 4-7 at the Singapore Expo, Halls 5 and 6, 12-9pm daily (admission FREE). For PC Show 2015, I’ll be compiling selected promotions and flyers from the exhibitors in a photo album on the tech4tea.com Facebook page. Desktop PCs and gaming ROG GR6. Brother Colour LED and inkjet multi-function printers, labellers, scanners, and sewing machines. Cameras – compact & DSLR. Printers – PIXMA & laser. Epson printers, scanners and projectors. UE speakers & Logitech accessories. smartphones, tablets, speakers and accessories. SanDisk memory storage devices, memory cards and thumb drives. Devices – smartphones & tablets. From today till Sunday, the first of the four large annual IT exhibitions in Singapore this year takes place for four days (19 – 22 Mar) at the SUNTEC Singapore Convention & Exhibition Centre, Levels 3, 4 & 6. IT Show 2015 will open daily from 11 am to 9 pm (Admission FREE). The first of four large annual IT exhibitions in Singapore. For IT Show 2015, I’ll be compiling selected promotions and flyers from the exhibitors in a photo album on the tech4tea.com Facebook page. Gaming console PC GR8, Gladius, STRIX, VivoPC, VivoMini, Chromebox. Monitors – Gaming series, IPS series, LED series. Networking equipment – routers, repeaters, adapters, wireless HDD. Brother inkjet/laser printers/MFCs, scanners labellers and sewing machines. Inkjet/laser printers (PIXMA, imageCLASS, MAXIFY) and flatbed/document scanners. Compact cameras (PowerShot, IXUS), EOS DSLRs, LEGRIA camcorders; and SELPHY compact wireless photo printer. Alienware gaming computers & console. Monitors, Venue tablet, XPS/Inspiron notebooks, Ultrabooks & desktop. Epson inkjet printers, scanners and projectors. Fitbit health monitoring sports bands. Fuji Xerox Mono/colour multifunction laser printers. Consumer notebooks, tablets, AIO desktop computers (1). Consumer notebooks, tablets, AIO desktop computers (2). ThinkPad business notebooks and tablets (1). ThinkPad business notebooks and tablets (2). Logitech G gaming mouse, gaming keyboards. Keyboards, iPad cases; UE wireless speakers, earphones/headphones. Compact cameras and Audio recorders. Business storage solutions – NAS & NAS Pro. Seagate Business Storage NAS solutions. TomTom portable GPS navigation devices & GPS sport watches. Personal storage solutions – My Passport, My Book, My Cloud. Business storage solutions – My Cloud Business & Expert Series. From 27 November, the final of the four large annual IT exhibitions in Singapore will take place for four days (27 – 30 Nov) at the Singapore EXPO, in Halls 5 & 6. SITEX 2014 will open daily from 11 am to 9 pm (Admission FREE). SITEX 2014 @ Singapore EXPO (Halls 5 & 6) from 27 – 30 November. Admission FREE, daily 11am to 9pm. Established in 1988, SITEX 2014 will see more than 500 brands of infocomm and consumer electronic products spread over more than 200,000 sq ft of exhibition space. For SITEX 2014, I’ll be compiling selected promotions and flyers from the exhibitors in a photo album on the tech4tea.com Facebook page. Printers: Scanners and Printers (inkjet/laser/photo): ImageClass, LaserShot, PIXMA. Cameras: EOS DSLRs, lenses, IXUS/PowerShot compact cameras and LEGRIA camcorders. Dell notebooks, tablets, desktop AIO and gaming PCs, monitors. Epson Printers, projectors, scanners, mutifunction printers, labellers, ink cartridges and paper. Lenovo notebooks, desktop PCs, tablets (flyer 1 and flyer 2). Logitech accessories. Gaming mouse, gaming keyboards and iPad keyboards; UE earphones, headphones and speakers. Nakamichi personal audio products: earphones, headphones and speakers. Noontec audio products: earphones, headphones and power banks. Plantronics cabled and wireless headsets and headphones. PowerSkin and Protag accessories for mobile devices. SanDisk storage products (SSDs, thumb drives, and memory cards). StarHub Home/mobile/business broadband, cable TV, smartphones/tablets. TomTom GPS navigation devices and sports watches. The third of four large annual IT exhibitions in Singapore will be in town in two weeks. It will return to Suntec Singapore at Levels 4 & 6. As in past IT shows, I’ll be compiling promotions and flyers from the exhibitors in the COMEX 2014 photo album on the tech4tea Facebook page. You can browse the album or directly access a specific flyer via the list of links below. So far, only the flyers for TomTom are in. Brother printers, scanners, labellers and sewing machines. Cameras – DSLRs and compact cameras, SELPHY photo printers. Printers – colour/monochrome laser/inkjet printers, and scanners. Ink and paper for Canon printers. Dell Inspiron, Vostro, XPS Ultrabooks, notebooks, desktops, monitors and Alienware gaming machines. Fuji Xerox colour and monochrome laser printers. Jabra earphones, headsets and speakers. Linksys networking equipment, routers, including extenders, switches, and wireless adapters. Miix, Flex, Yoga, Horizon desktops, notebooks, tablets, hybrid computers, and gaming machines. iPad covers/keyboards, UE speakers & ear/headphones. Microsoft Xbox, Surface Pro 3, Office, mouse, keyboards, webcams and game controllers. Nakamichi speakers, earphones and headsets. NETGEAR network equipment, including routers, extenders, switches, storage, wireless adapters, and streaming players. Nikon DSLRs and COOLPIX compact cameras. nubox accessories and Apple peripherals. Olympus mirrorless interchangeable lens cameras and compact cameras. PowerSkin, PROTAG & McGear accessories. Seagate portable external hard disk drives. Cardio and Nike+ GPS Watch. WD portable external hard disk drives. Embargoes for most of the flyers will only be lifted on the first day of COMEX 2014, as exhibitors vie to safeguard the promotions that they plan to offer.